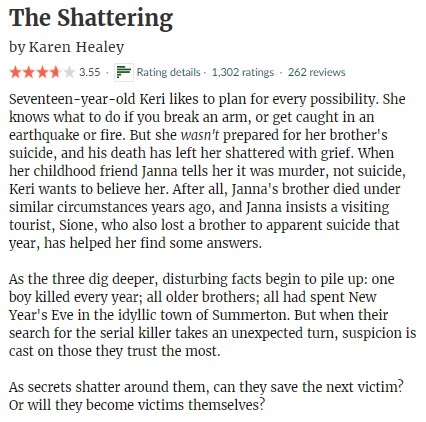 This entry was posted in 2019, 4 Star Rating, Book Reviews, Yvo's Shorties and tagged 3 star rating, 4 star rating, book review, contemporary, fiction, india, karen healey, lgbt, love triangle, magic, new zealand, paranormal, published in 2011, published in 2017, romance, sandhya menon, supernatural, suspense, tbr jar pick, the shattering, thriller, when dimple met rishi, young adult, Yvo's Shorties by Yvo. Bookmark the permalink. Glad to hear you liked When Dimple Met Rishi. 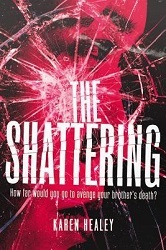 I’m not much of a romance reader, but it sounded fun and all I’ve seen are good reviews from people I follow. I’m not a big romance fan either, but I like stepping out of my comfort zone every once in a while. I’m glad that you enjoyed When Dimple Met Rishi! I thought it was super cute. I agree! It has definitely made me want to read her other books whenever I’m in the mood for contemporary romance again. 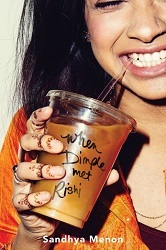 I’m going to have to check out When Dimple Met Rishi! I adore geeky characters!! There could have been more focus on the geeky side, but it was still such a cute read! I’m glad you enjoyed When Dimple Met Rishi, I have it on audio but keep putting it off, pehaps I’l bump it up now! An audio version should be interesting! 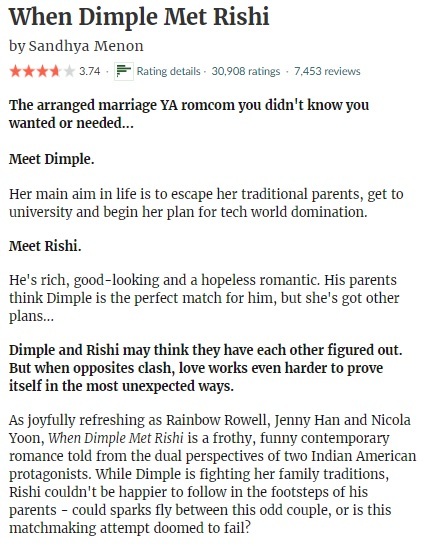 I enjoyed When Dimple Met Rishi BUT I wanted more about the coding competition included… One of the best aspects was how driven & focused Dimple was. When the romance came to the forefront of the plot, we lost the coding camp aspect. Still a solid read. I completely agree with that! If the coding competition would have played a bigger role I’m sure it would have been a few favorite. That’s great to hear! I’m definitely looking forward to read more of her work.